Private tours require a minimum of 4 passengers and departure times are flexible. 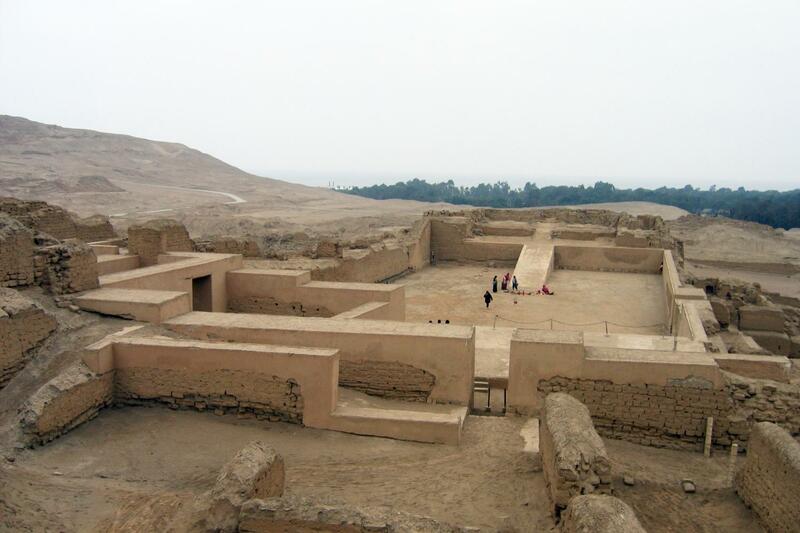 Depart from your hotel and head south on the Panamerican Highway towards the Pachacamac Archaeological Sanctuary located only 30 kilometers from Lima. 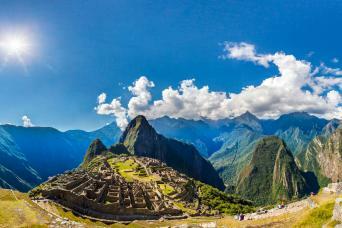 This complex – built out of adobe, and boasting views of the Pacific Ocean and the Lurin River Valley – was a pilgrimage site for many of the cultures that made up ancient Peru. 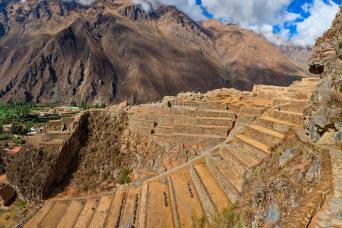 After the Inca’s arrived, however, the site was adapted into an administrative center, always respecting the local constructions. Of the structures, there are many noteworthy areas, like: the Temple of the Sun, the Acllahuasi, the Palace of Taurichumbi, and the Plaza de los Peregrinos (Pilgrim Plaza), among many others. 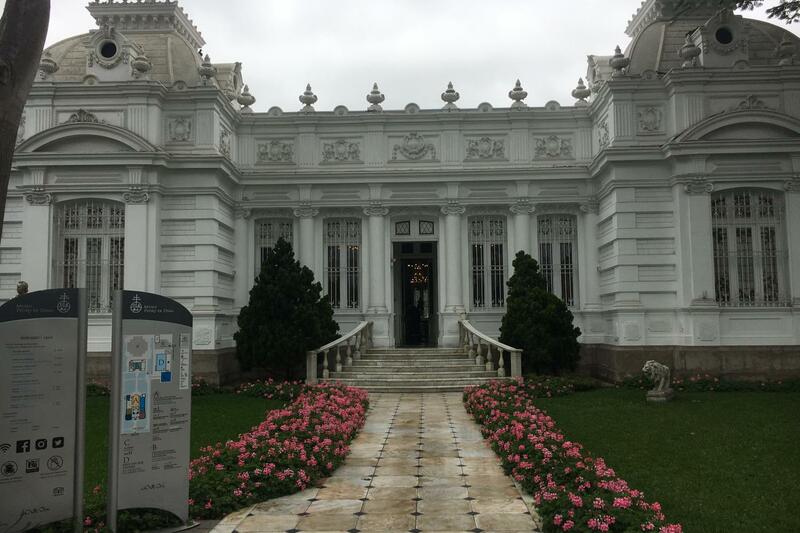 After touring the grounds, make your way to the on-site museum where you can familiarize yourself with a more precise timeline of the area and appreciate some of the vestiges rescued from here before heading back to Lima. Once in Lima, you will be led to the Barranco district, known for its bohemian and culturally rich essence, and for being a traditional meeting place for local artists and writers over the years. 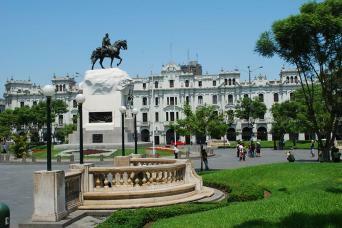 This historic neighborhood is the home of the beautiful Pedro de Osma Museum – housed within an exquisite, wonderfully preserved art Nouveau style mansion – which features an exceptional assortment of Peruvian viceroyalty and South-Andean art collected by Pedro de Osma Gildemeister, a Peruvian philanthropist and art collector. The museum contains over 1,500 pieces that date back between the V and XIX centuries. There is a varied collection of paintings that range from Mannerism and Marian art, to archangels, art from Cusco, allegorical paintings, portraits, furniture, sculpture, carved alabaster stone, restoration pieces, a superb room of silver pieces, and art from the ancient Tiahuanaco and Inca cultures. All pieces shown in the mansion and its two adjacent galleries are carefully and thoughtfully exhibited in a very interesting and well-presented way meant to arouse the curiosity and astonishment of all visitors of this exclusive historical establishment.